I didn’t grow up with mashed potatoes being part of the Thanksgiving spread, we always had the sweet potatoes with the marshmallow topping. 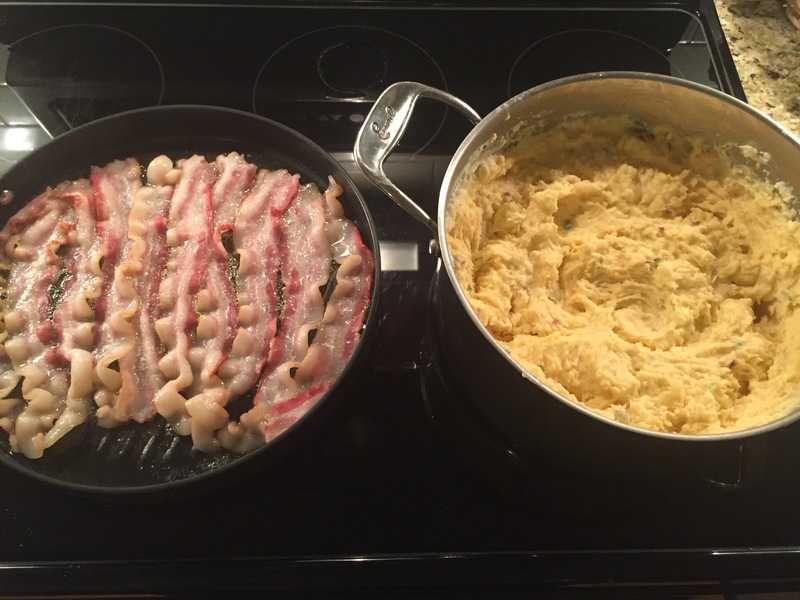 However, my husband feels mashed potatoes are a necessity for the holidays. They are so simple, so why not jazz them up a bit? 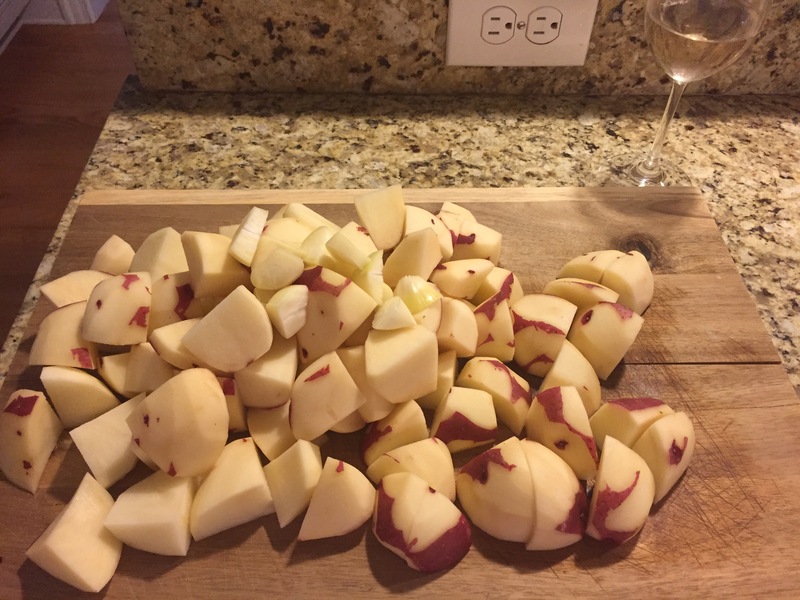 Begin by partially skinning and cubing 4lbs of red potatoes and slice 3 large garlic cloves into thirds. Place into a large pot of boiling water and cook for about 15 minutes, or until the potatoes soften. Mash to your desired consistency. 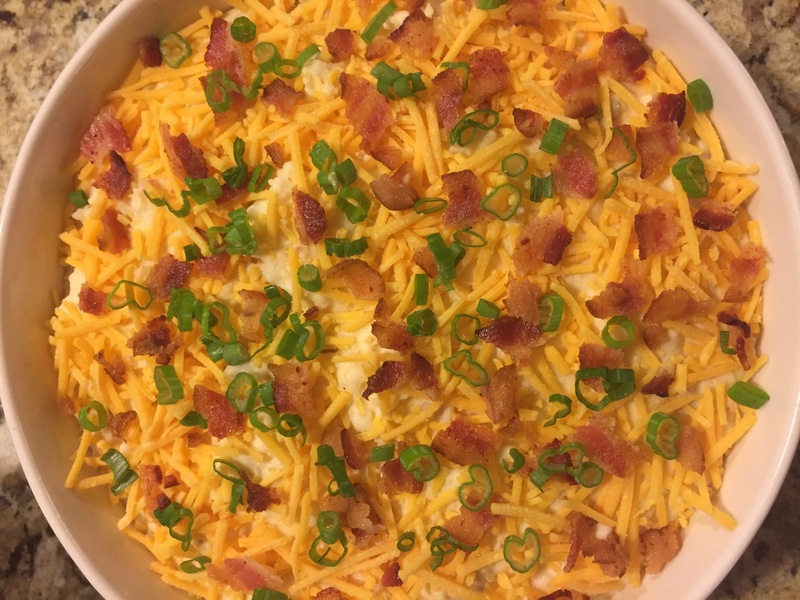 Now add the following: 1/4C butter, 1C sour cream, 1/2C heavy cream, 4oz cream cheese, 2 chopped green onions, 2C shredded cheddar, and 10 slices chopped, crispy bacon. I used my hand mixer to combine everything but stirring would be fine also. Top with 1/2C cheddar, 2 chopped green onions, and 2 more pieces of chopped, crispy bacon. Bake at 375 for 30 minutes. Enjoy!